Another of our beautiful spring ephemeral. Its name "bloodroot" comes from the red sap flowing from the plant when bruised. From the same family as the poppy (Papaveraceae), it is the only representative of its genus (Sanguinaria). At high doses, its sap is poisonous, even deadly. 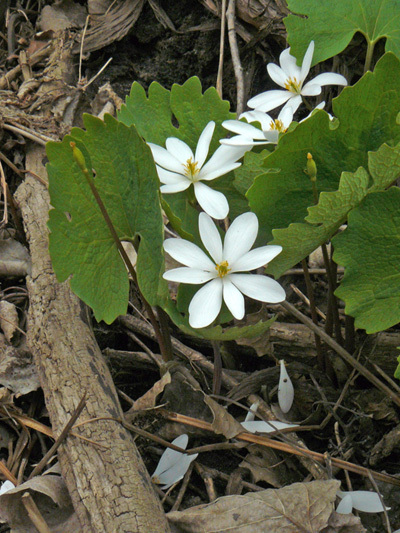 The Bloodroot is declared species vulnerable to harvest in Quebec. The occurrences of this species are not to be reported. On the other hand, avoid picking.